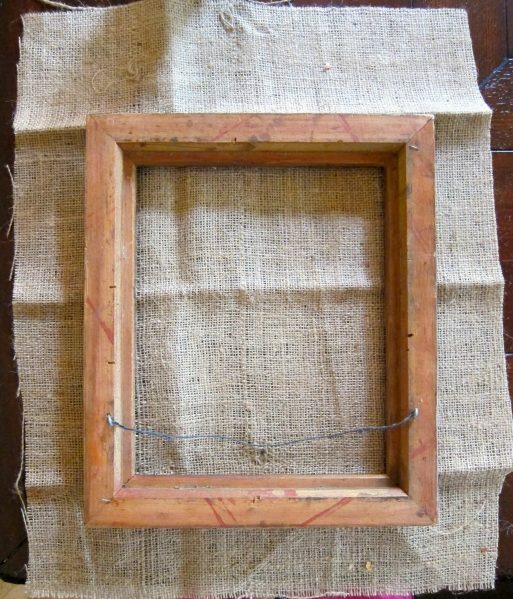 Step one: Place the frame on the burlap and trace the inside of the frame with white chalk. This will help you keep your project centered. 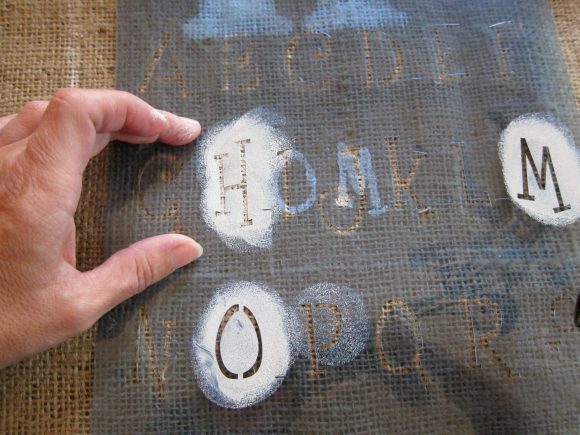 Step two: Use the stencils and paint to add the monogram and phrase to the burlap. 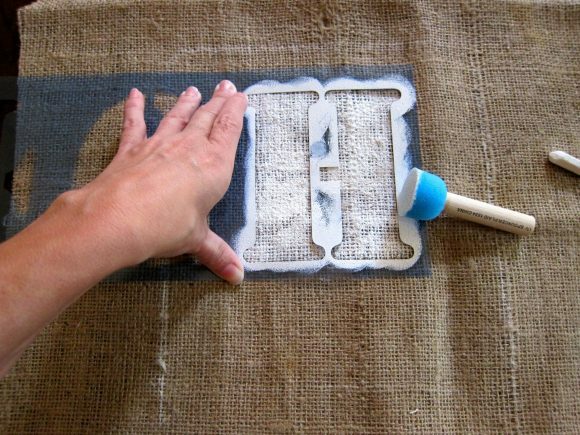 To avoid paint “bleeding” under the stencil, use a foam roller or pouncer to blot paint onto the surface. Do several light applications until the color is the way you want it. 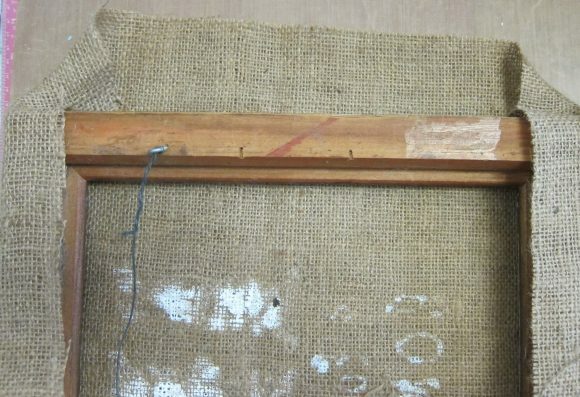 Step three: once the paint has dried, add the burlap the the frame. I used a hot glue gun to adhere two sides, then I folded the corners like a present before gluing the remaining sides down. Step four: I added the white border last because I wanted to make sure it was centered. 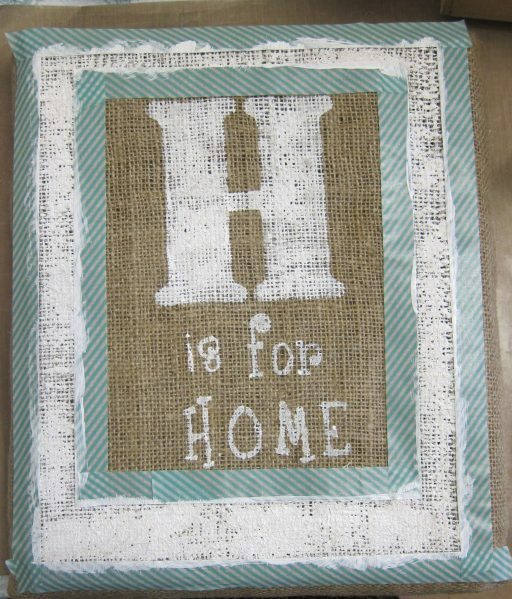 I used washi tape to mark where the line was to go, then painted the burlap with the white paint. 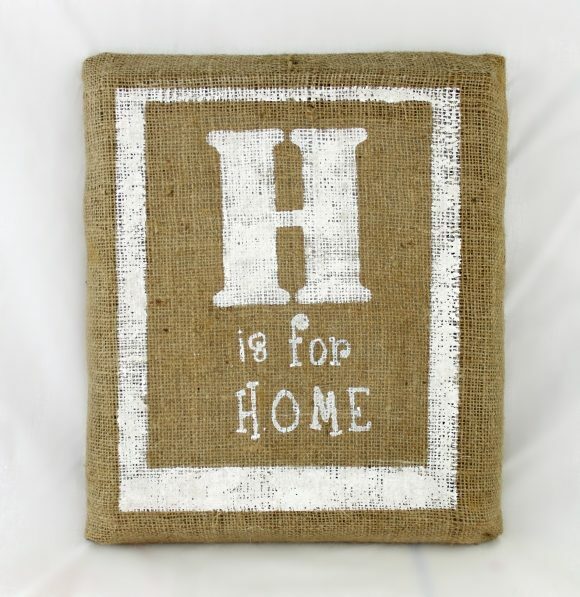 This custom wall art would look great with a photo wall collage. 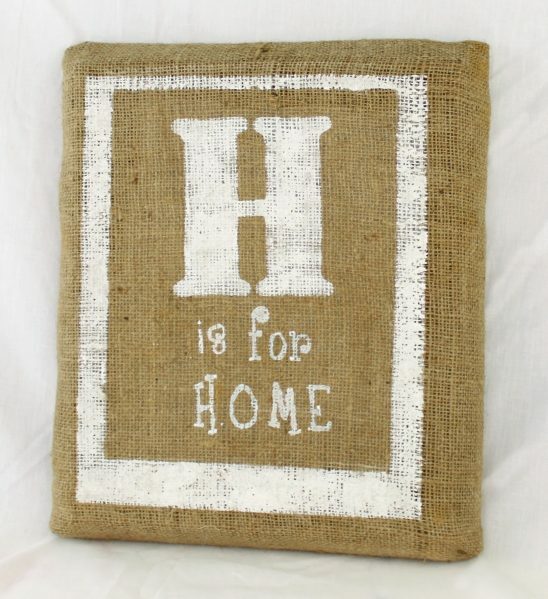 It would also make a great anniversary gift, or even a cute customized gift for a new baby. Since you’re making it yourself, you can put any name, phrase or color you want on it, and make it for a fraction of the name brand’s price! 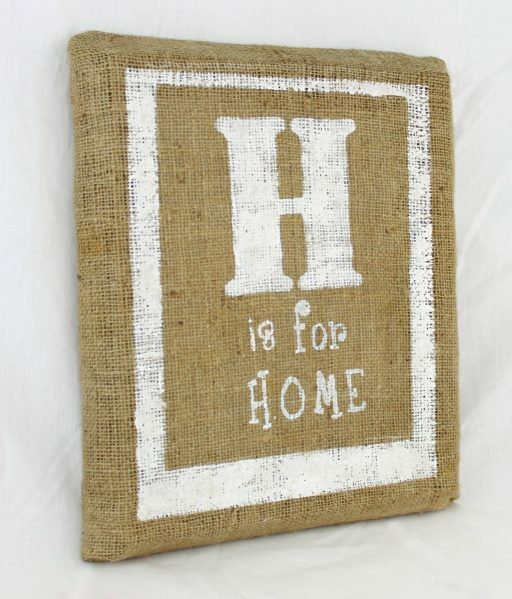 I could also see this being used as super cute wedding decor!